WASHINGTON - Pass Christian City Attorney Malcolm Jones fought back tears as he told members of a federal agency and volunteer organizers Wednesday that he still cannot return to his home. Jones and Diann Payne of the Mississippi Commission for Volunteer Service began their tour of the capital Wednesday by addressing the board of directors of the Corporation for National and Community Service. They told the agency, which provides federal grants to community groups, about the essential role of volunteers in the Hurricane Katrina recovery effort and rebuilding over the past year. "They (volunteers) brought hope right at the moment we needed it," Jones told the community service board and an audience of several dozen. Outside the meeting, he said although some government agencies may have had a delayed response, volunteers from AmeriCorps and other programs under the service corporation were "very timely." According to a report by the corporation, more than half a million Americans have volunteered in the Gulf region to date. "Many times I wanted to quit, and those kids pushed me up," Jones said. The city attorney, whose own home was destroyed by the storm and who served as acting mayor of Pass Christian in Katrina's wake, said the city has lost 45 percent of its tax base. As a consequence, the money provided by the corporation is very much needed. Payne, also choked up, cited the need for sustained aid and a more efficient relief system. She echoed Gov. Haley Barbour's sentiment that even if Katrina had not struck New Orleans, it still would have been "the single largest disaster in American history." "Hurried decisions aren't always the best ones, but unhurried decisions aren't always the best ones either," she said, and later added, "I think the whole system could've been more responsive, not just the corporation." Local people should be given prompt authority to use relief money they receive, she said. The service corporation, established in 1994, has always been involved in disaster relief, among the other purposes it serves, said Siobhan Dugan of the corporation's Office of Public Affairs. Several of its board members toured the Gulf Coast recently to meet with community leaders and witness relief efforts. "It has been done well, but it can be done better," Jones told the board. Jones and Payne were part of a five-member panel that included community organizers from New Orleans. The group also appeared at the Hudson Institute's Bradley Center for Philanthropy and Civic Renewal on Wednesday afternoon. HENDERSON POINT - Either residents love Henderson Point deeply or they are deeply concerned about its future, as about 700 people - roughly half the area's population - came out for a town hall meeting at the West Harrison Civic Center on Saturday morning. The meeting, put on by the Harrison County Zoning Office, was designed to update residents on the brutally slow return of public services in the aftermath of Hurricane Katrina, as well as begin the planning process for the future of the most-southerly unincorporated area of Harrison County. "It's difficult to get out information," said Marlin Ladner, Harrison County Supervisor for District 3, which covers Henderson Point, to the audience at the start of the meeting. "I ask you for your patience. Everything is not going to come to fruition tomorrow." Indeed, many residents did not complain before or during the meeting about the slow progress of rebuilding, even though many streets are still lined with debris, few homes are going up and many areas do not have water or sewer service. Both residents and officials chalked that up to the fact that they have a longer road to recovery than almost everyone else. Of the approximately 470 structures that existed on Henderson Point before the storm, only 20 or so were standing afterward; none were usable. Despite almost literally starting from scratch, none of the 700 or so in attendance showed signs of wanting to pack up and go. Actually, during part of the meeting audience members eagerly took live votes via an electronic voting system (the same kind used in New York City to vote on how to rebuild Ground Zero) on what kind of dwellings and development they wanted to see in town. Every time residents were asked to vote on anything that even resembled a condominium development, more than three-quarters rejected it. This kind of interaction was both surprising and encouraging for the planning team, led by Jennifer Cowley of Ohio State University and planners from the American Planning Association. "When the hurricane hit, there was so much that had to happen before planning could start," said Cowley, adding the turnout was the best they had seen so far in the several planning meetings for other areas of Harrison County. "The county has been going step by step." Nick Nelson, a resident since 2002, said he and most of his neighbors are grateful for the professional and careful planning the county is doing for the future. Nelson admitted mild frustration about the slow return of city services, the slow start of the planning process and the slow return of residents, but he said he understood why all that was happening. "It's only a matter of money," said Nelson, who is debating drilling a well in order to start rebuilding his home. "I don't believe it's ever too late to do a plan. A lot of people's rebuilding is on hold because of insurance claims. If everybody had their insurance claims, you'd see a lot more activity. Now's an excellent time to do planning because you can't do anything now but plan." Fire services: Pass Christian will provide service for the time being. This will be the case until residents start moving back and the volunteer fire department can be re-established. Roadwork: U.S. 90 should be repaired by November 2007, then work will begin on Bayview and Third Avenue, which will be raised. Water and sewer service: The Sewer District has applied for a grant to develop water services for the area. For now, 70 of the 430 grinder pumps there before the storm are functional, and 60 more will be ready by the end of the month. The reason TESI, the previous water contractor, has not restored water service everywhere has to do with debris removal. As trucks remove debris, water lines are constantly being damaged. TESI expects to have all its wells operating 100 percent within the next few weeks. 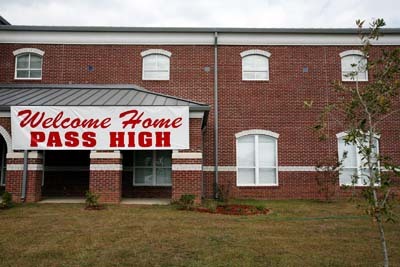 Before Katrina wiped it out, Pass Christian, Miss., was a great place to live. Now the town is rebuilding itself—only better this time. A year after the most costly natural disaster in American history, just about everything you need to know about the challenges and opportunities facing the post-Katrina Gulf Coast—especially for its older residents—can be found in Pass Christian, Miss. In destroying as much as 90 percent of the town and requiring a total rethinking of where and how to rebuild, Hurricane Katrina may have simply delivered Pass Christian (pronounced Pass Kris-chee-ANN and known locally as "the Pass") to the future. Not that it will be free of struggle. There's no better symbol of renewal than Trinity Episcopal Church, a Gulf-front landmark built in 1851. Destroyed by Hurricane Camille in 1969, it was rebuilt 14 feet above sea level—still not high enough to elude Katrina's 36-foot surge. So it's being rebuilt again. Today, says the Rev. Christopher Colby, less than 20 percent of Trinity's families have moved back to their homes; most parishioners are living with friends and relatives in other towns and states. "One of the most difficult things for me," Colby says, "is dealing with the idea of a town erased. I walked out on our grounds on Christmas Eve and suddenly realized that none of the land to the west of us for four miles was inhabited. "There is this recognition that we can't return to exactly where we were before the storm. But there is a very intense desire in this community to build back and to restore at least the atmosphere the town once had." The Pass that residents once had was a historic town of 6,500 people, many of them descended from 18th-century French settlers. Named for the deepwater channel that aided ship navigation between coastal Mississippi ports and New Orleans 60 miles to the west, "it's always been a nice quiet little town," says John Dubuisson, 56, police chief for the last 21 years. "That's what everybody likes about it. Everybody knows everybody." In the last U.S. Census, 19 percent of the town's population was 65-plus, compared with a state and national average of 12 percent. "Our retired population pretty well runs the town," says Dayton Robinson, 70, a former bank employee and the longtime chairman of the town planning commission. The trouble is, what most people remember as the town has been permanently altered. On one side of scenic Highway 90 connecting Pass Christian with Gulfport and Biloxi lies the Gulf; on the other, set among the oaks, were some of the region's most admired 19th-century houses. The Gulf is still there. But most of the homes are not: in total, the Pass lost some 2,000 houses. One belonged to Etta Dubuisson, 84, the police chief's mother. Twelve feet of water destroyed her 100-year-old house on East Second Street and those of most of her neighbors. Still, "You couldn't move her out of here with a stick of dynamite," says her son. Since the storm, Etta Dubuisson has been more fortunate than most: she expects to move into a new house in the next month or so. It will be something of a showpiece, designed at reduced cost by a sympathetic architect who usually designs second homes for wealthy clients in the coastal Carolinas and Florida. And it's being built with help from a coalition of volunteers that includes Rotary Clubs and the Mennonite Disaster Services. "Thank God for all that," she says. It's a pattern repeated all along the coast, with volunteers filling gaps while direct federal and state aid is just beginning to reach property owners. But despite the help, the lack of labor and materials has slowed the pace of building. It has also added to the cost. As qualified crews spread themselves thin, not-so-qualified workers are over-promising, under-delivering and charging top dollar. "The honest ones are kind of stuck, and all these vultures have come in," says Carter Hillyer, 57, who left his job as a university professor to rebuild his 92-year-old mother's house with his son, Charles. After staying with her daughter in Louisiana, Hillyer's mother moved to her rebuilt four-bedroom rambler in January, though living there was still something like camping out. "We had some of the furniture back in place and a roaring fire in the fireplace," Hillyer recalls. "We put a blanket around Mother in her chair, and a big smile came over her face. 'It sure is good to be back home,' she said." New building rules also complicate matters. Etta Dubuisson's thoughtfully designed new house is three feet higher off the ground than her old house was—which, now at the height recommended in new flood insurance maps from the Federal Emergency Management Agency (FEMA), presents a challenge for Etta's getting in and out. "We've decided we'll have to build a ramp for her," says John Dubuisson. The height requirements further increase the already escalating construction costs. Add to that the rising insurance premiums on coastal homes and speculator-driven prices for property, and new housing costs soar beyond the reach of many low-income residents who lived here. Soon affordability may exceed the means of even middle-class residents. "If you make all the people who aren't rich move out of town," says Robinson, "you won't have people to open businesses, and you won't have people to be their customers." As the population ages and income gaps widen, many communities across the nation share the problem of affordability. Katrina forced the Pass to face the issue now—and the solution may be a return to the more compact and accessible town of half a century ago. "Up until the 1950s, this was a pretty lively place," says building contractor Jim Schmitt, 59. "We had three bakeries here 20 years ago. But then the same thing happened to us that happened to other small towns. All the business was sucked out by the malls. We lost the critical mass to make a viable downtown work." The effort to recapture the town's vitality began barely a month after Katrina when, at the invitation of Gov. Haley Barbour, R, 200 international planners, architects and regional experts met in Biloxi to come up with plans to rebuild three counties and 11 towns. California urban planner Laura Hall led the team assigned to the Pass. "While in some places after the hurricane the planning was imposed from the top down, in Pass Christian it came from the opposite direction," Hall says. "The citizens educated themselves about the intricacies of zoning codes and other urban planning tools, and they let their leaders know exactly what they expect." Citizens like Jim Schmitt and his wife, Gayla, whose home was severely damaged in the storm. The Schmitts also lost two rental properties, derailing their well-laid retirement income strategy. They got involved in the post-Katrina planning process after making "a conscious decision to work for the greater good," says Gayla, 61. "Our own financial problems are bigger than we can handle by ourselves. We're not going to recover very well if the town doesn't recover." Gayla became president of Mercy Housing and Human Development, a regional nonprofit group working on projects that affordably house older people and others. Jim has become a leader at public planning hearings, which routinely draw more than 200 people. He advocates a zoning approach that integrates building uses—housing, offices, retail, recreation—rather than segregating them, and he prescribes design details like building heights and sidewalk widths. The town can re-emerge, he says, with a viable center where almost anything residents need is within walking distance. One proposal would create a secondary center around Wal-Mart three miles from the historic center. "There's no reason Wal-Mart has to pull people away from a town center," says Robin Riley, the architect-developer who proposed the project. "People—especially seniors in our area who need safe rental housing—should be living next to Wal-Mart, where they have 24-hour access to so much of what they need without having to drive anywhere." Pass Christian "is going to take us at least three years to build back," says Chipper McDermott, who was elected mayor in August. In a town accustomed to processing perhaps 100 building permits a year, more than 1,000 were issued between October 2005 and August 2006. That represents at least $70 million in projected construction. Though hopeful that new revenues will offset losses in property and sales taxes since Katrina, McDermott and other town officials may also face an avalanche of speculative investment. "There could be a fistfight over development on the fringes" of town, says McDermott. Still, slow is not acceptable, in building new houses or planning the new town. If communities in the path of Katrina gained anything from the storm, it was a sense of urgency. "The longer it takes for us to decide what to do, the longer it will take to get anything done," Dayton Robinson says. "If we can't get people back, we can't get businesses back. And if we can't get businesses back, we can't have the community we once had." PASS CHRISTIAN, Miss. — People entering Brenda Payne’s new house a few blocks from the Gulf of Mexico paused at the top of her elevated porch to remove their shoes. For some, it seemed to spring from habit and good manners, a way to keep Mississippi’s ubiquitous red dirt out of Payne’s fresh carpeting. But it also seemed a holy gesture. Entering Payne’s home — a serene island of gentle light and air-conditioning on a blazing August afternoon — was akin to stepping into territory blessed by the many Mennonite Disaster Service volunteers who had toiled to raise this place from the mold and ocean-sodden ruins left a year ago by Hurricane Katrina. Payne’s new house and two others recently completed by MDS were dedicated Aug. 19. “My house went into my neighbor’s back yard,” the slightly-built grandmother remembered, pointing into the bushes. Today Payne, who shares her home with her young grandchildren, can stand in her new master bedroom and see a neighborhood slowly recovering from the hurricane. On Aug. 29, 2005, the deadly Category 3 storm leveled large parts of several communities along the Mississippi Gulf Coast, from Waveland and Bay St. Louis to the west, to Gulfport and Biloxi to the east. Though high winds devastated buildings hard by the coast, it was Katrina’s nearly 30-foot storm surge that did the more pervasive damage and that lifted and propelled Payne’s former home into an adjoining lot. Few houses in Pass Christian — which was severely damaged when Hurricane Camille came ashore here in 1969 — were spared at least some damage by Katrina. Though she fled Katrina, Payne said she rode out the compact, fast-moving Camille in her house, which was damaged but not destroyed. But while Camille packed 240 mph winds, Katrina’s storm surge was higher and reached farther inland to destroy property that Camille’s slightly shallower tide had missed. “This is a lot worse than Camille,” said MDS volunteer Bob Bender of Goshen, Ind. Wayne Ford and his family live in another of the houses recently dedicated by MDS. A seventh-generation Gulf Coast shrimper whose family has lived at the same address on Market Street for more than 100 years, Ford has the muscular arms and sun-cured skin of a man who has spent his life on the sea. Ford believes his family’s home fell victim as much to the chaotic aftermath of Katrina as to the storm itself. “It could have been saved with very little effort,” Ford said of the structure, built after Camille destroyed an earlier house constructed by Ford’s great-grandfather. When Ford returned to the house following Katrina, he found it had floated off its foundation and come to rest in the middle of the street. Other than some minor water damage, the house was totally intact, Ford said, without even a broken window. It seemed too good to be true, especially in the face of far worse damage nearby. “It was just like it was built there,” Ford said. An extensive antique gun collection and an oil painting of one of his shrimp boats by Biloxi boatbuilder-turned-artist Joe Moran survived the storm. After being told by local authorities that the house would be left alone until he could retrieve his belongings, Ford left. When he was allowed to return three days later, the house and everything in it had been bulldozed — by whom, no one seems to know. Though his family had the resources to rebuild their home after Camille, Ford said his storm coverage was invalidated this time because the house had been bulldozed before an insurance adjuster arrived. As a result, Ford found himself and his family with no means to rebuild and with few possessions. Though MDS was able to help him, Ford said there are many others in the region who lost their homes, or at least salvageable possessions, under similar circumstances. The three houses completed by MDS — the third was for Roseta Daniels of Pass Christian and her two children — were constructed in partnership with the Pass Christian Rotary Club and Naperville Responds, an initiative by residents of Naperville, Ill., who have donated money to help Pass Christian rebuild. D.H. Short, a local physician who has been helping marshal relief resources in Pass Christian, said MDS has been a godsend to the community. “What the Mennonites have allowed us to do in Pass Christian, I can’t thank them enough,” Short said. 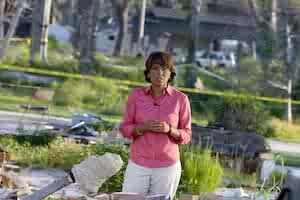 GULFPORT - ABC morning co-anchor Robin Roberts returned to South Mississippi on Monday to host segments on the Hurricane Katrina anniversary from the Coast. On Monday morning, "Good Morning America" broadcast from the front of Jim and Garnette Wetzel's home. Today, she returns to her hometown of Pass Christian for the anniversary of the storm. The Wetzels began rebuilding their home on East Beach Boulevard shortly after Hurricane Katrina hit, one of the first signs of recovery visible along U.S. 90. On Monday morning, the Wetzels' beach view provided a backdrop for live segments that were part of the GMA broadcast. The couple also appeared on camera with Roberts as part of a segment on making homes more stormproof. Roberts had broadcast several times from South Mississippi during the year, in addition to visiting family here. After Monday's show, she talked to the Sun Herald about how she's seen the Coast change in the year since the storm hit. "Every time my mom picks me up from the airport over the past year, she asks the same thing, because you want to see it through fresh eyes," Roberts said when asked what changes she's seen over the last year. "And on the surface you do see the improvement." Roberts said although she sees improvement, she's concerned about the emotional state of people who are here every day. "My concerns are on the inside," she said. "People who are here, dealing with this day-in and day-out, I would hope that the year ahead would have a little more improvement." PASS CHRISTIAN, Miss. — One year ago today, Hurricane Katrina made landfall on the Gulf Coast. Even with winds at about 125 mph when it hit, few anticipated the damage it would cause. But Katrina pummeled the Louisiana and Mississippi coast, destroying nearly everything in its path. It initially seemed New Orleans would be spared, but when its levees broke, the resulting flooding was disastrous, leaving people trapped on roofs and bodies floating down streets. When all was said and done, the catastrophe claimed more than 1,800 lives and caused more than $81 billion in damage. The scale of the disaster is so overwhelming that particular human stories can get lost. Today, we look at how the storm changed individual lives in Pass Christian, a once-idyllic Mississippi town of nearly 7,000 where the storm killed 25people and destroyed most of the buildings. A year after the hurricane, some Pass Christian residents have made more progress than others, but all still are grappling with how to get on with their lives. Horace "Skip" Brown lost nearly everything in Hurricane Katrina, but two months later, he found Jesus by the railroad tracks. "There he was, lying down there, cool as he wanna be," Brown said. When he called the Rev. Dennis Carver at St. Paul's Catholic Church just a block away from his property on Woodman Avenue to tell him, Carver responded, tongue in cheek, that it was never too late to find Jesus. "I said, 'No, man, I found Jesus for real. He's over there. His hand is broke, but other than that, he's all right. Come and get him,'" Brown recalled. "I tried to get the city to come get Jesus. Nobody would come get Jesus," said Brown, 56, who is disabled with herniated and bulging discs in his back but spent 15 years working at the harbor ice house. He finally recruited Protestant volunteers from a tent medical station to help cart the 80-pound, 5-foot wooden statue back to St. Paul's. Of all the things that Brown has found since the storm, Jesus is just about the only one he's returned. Hundreds of other items that he has salvaged have found a group home in Brown's yard. There are housewares: a KitchenAid stand mixer, chandeliers, a complete set of barbecue tools, a stepladder, several mirrors and dozens of electrical outlet covers and light switches. Then there are the expensive, the collectible and the downright bizarre: a pool table with balls included, an 1831 bicycle, a fountain, an antique desk, professional ceramic molds for making dishes and a mantelpiece from the Louisiana governor's mansion. Brown said visitors are most interested in the religious relics he has found, including statues of the Virgin Mary, angels and Mardi Gras dolls. Brown is proud of his collection of oddities. "My mama told me, don't let nothing go. If you see some use for it, make some use for it," he said. Indeed, Brown, a lifelong resident of Pass Christian, doesn't like to abandon anything. During Katrina, he didn't evacuate, staying behind with his 8-year-old dog, Ubu, a chow and German shepherd mix. His house flooded, lifted from its foundation and landed on top of a telephone pole. Brown managed to survive by climbing into his attic and staying there for more than 24hours, eating only peanut butter. He has accepted few handouts since. Brown's scavenger habits are considered dubious by some, who believe he is taking other people's property. In the days and weeks after the storm, Brown said he was confronted by the National Guard, who considered what he was doing looting. "In all my life, it's been trash. People put trash out on the street to be picked up," he said. "Now you pick it up, you're subject for a $500 fine, unless you got written permission." He plans to solicit the help of his neighbor to sell some of his treasures on eBay. "They were selling Katrina mud on eBay," Brown said. "I could make a fortune, all that mud I had in my yard." The bathroom in Marie Fry's government-issue trailer is so small that she can wash her hands in the sink and soak her feet in the tub while sitting on the toilet. "When I'm in the shower and I wash my hair with the shampoo on top of it, it touches the ceiling," said Fry, who is from Ireland. "The bathroom, I figure, is like an airplane loo, only it's got a shower in it." Such is life for many survivors of Hurricane Katrina a year after the storm slammed into this Gulf Coast town. 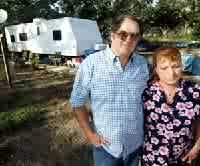 The standard 240-square-foot trailers issued by the Federal Emergency Management Agency to couples like Marie and Robert Fry have few of the comforts of home. Just 18 inches separate the trailer's built-in couch and the edge of the booth-style kitchen table. The simple task of walking becomes a complicated dance of trying to find somewhere to move to let someone else go by. Robert Fry, who is 6 feet 2 inches tall, must bend over in the shower and barely clears the trailer's ceiling, which is about 61/2 feet from the floor. Then there's the bed, which is only 6 feet long and takes up most of the bedroom. "I'm too long for the bed," he said. But "you can't get anything longer than that. You can't get past it otherwise." The bedroom closets are not deep enough to hold regular-sized hangers. Marie Fry, 58, who works as an office manager, purchased baby hangers to fit inside, only to discover that their adult-sized clothes slip right off. The kitchen has a full refrigerator, but the oven is another story. "You couldn't even cook a proper chicken in one," she said. Every usable inch of space is filled and then some. Plastic storage containers with labels like "Marie shoes" are lined up underneath their trailer. A bread maker and piles of papers reside on one of the table's booth seats; Marie Fry eats on the couch with her plate on her lap. 2,000 square feet of space. Returning to Pass Christian after they had evacuated to Alabama for the hurricane, the Frys discovered their house had moved 10 feet up and five feet over from its foundation. Water and mud had destroyed everything on the ground floor and risen four feet into the second story. The Frys were able to collect on their insurance, and they plan to build a log cabin on their property, but they're waiting for an architect to complete plans. Life in a tin box has been a test of their three-year marriage. There is no way for Marie to stay up late watching television while Robert, who owns a home-and-yard repair business, sleeps. "Where do you go? You can't do anything," she said. "Sometimes it feels like a coffin. You're trapped in here, and you can't move." Crispy whole flounder with a Thai sweet chili glaze. Turkey, bacon and brie on French bread. Those used to be specialties of the house at Old Cuevas Bistro and Bakery, which saw 200 customers a day. But a clock on the restaurant's wall stopped just before the lunch rush a year ago, and its hands haven't moved since. The 19th-century building on Menge Avenue was originally Pass Christian's general store. It remains standing a year after Hurricane Katrina came barreling through, but it was submerged in 12 feet of rushing water from Bayou Portage, just a few feet away. Owner Cassandra Timmons, 41, has salvaged a few items — salt and pepper shakers, the contents of the dishwasher, industrial kitchen equipment purchased just months earlier — and piled them outside. She is determined to reopen the restaurant but is not sure how she'll afford it. In the year since the storm, the Small Business Administration has turned her down for a loan twice, citing her ostensible lack of ability to repay. Word on the street, Timmons said, is that she isn't the only one who has been turned away. "You would think they would be the one to help you re-establish your business," she said. Timmons spent the first months after the storm in Greenville, Miss., some 340miles away, caring for her sick mother, who died in February. With help from her father and other family members, she is cleaning up the restaurant and her 19th-century home, which is next door. There is construction debris everywhere, but volunteers cleared out the mud and replaced the bistro's drywall, and the kitchen hood is on its way to being reinstalled. "This looks so good. We worked so hard to get this far," Timmons said. A career chef, Timmons always wanted to open a restaurant with her husband, Raymond. But in 2003, with plans well under way, Raymond committed suicide. Timmons was 8 months pregnant with the younger of their two daughters. Despite her sudden widowhood, she went ahead with the opening, pouring all her money and energy into it. She's reluctant to let go of her dream now. "This is where I want to be. This is where I want to reopen," Timmons said. Half of her staff of 20 is still around, hoping her restaurant, with its booth seats, bakery case and full bar, will be back. But whether she will be able to find the funds to rebuild is still an unknown. She said she will keep applying for loans. "That's really the hardest thing, to know that the money and SBA might not come through and I might not reopen," Timmons said. "The last thing I want to do is close all of this." A 16-year-old high school junior, Sarah Freeman's days are mostly consumed by basketball and homework. Tall and quiet, she has aspirations to go to college on a basketball scholarship and become a sports trainer. Unless you asked, you'd never guess that Sarah and her family lost everything in Hurricane Katrina a year ago, their house floating about 100 yards off its foundation. "I really didn't get depressed or start crying or anything like most people did. I just dealt with it, because crying wasn't going to bring the house back," Sarah said. "I just went on with my life." She admits that she misses some of her friends, whose families relocated elsewhere. Tired of being bused to nearby DeLisle for school, she is itching to get back into Pass Christian High's original building, set to reopen before the end of the year. Otherwise, she seems to have put Katrina behind her. Her mother, Pamela Freeman, has watched how Katrina has matured Sarah and her siblings, who were forced by the realities of the storm to more quickly become young adults. "I can see they've all grown up," Freeman said. Since the storm, she said, her children, who are fourth-generation residents, also are getting along better with one another. "I was closer to my brother and sisters than I was ever," said 12-year-old Katie, a seventh-grader. Freeman's son, Josh, 18, graduated from high school, spent the summer working at Wal-Mart in Gulfport and starts at Mississippi Gulf Coast Community College this fall. He will be joined by his older sister, Jamie, 20, who just completed a year of service in AmeriCorps. Jamie is five months pregnant, but doctors believe her baby is likely to be stillborn. Despite all the hardships, Freeman isn't complaining. She was chosen by the Pass Christian Rotary Club to have a 1,095-square-foot home built on her Woodman Avenue property by the Mennonite Disaster Service. In the meantime, after wrangling with FEMA for months, she has two larger, slide-out trailers for herself, her teenagers and two cats, Callie and Baby. A shed with a washer and dryer stands in between. Katie wavers back and forth between finding living in a camper "cool" and pointing out its shortcomings. She said she misses having a house, a regular-sized bed and a tub. A secretary at Trinity Episcopal Church, Freeman exudes optimism. "I see people that are worse off than me," she said. "That's why I feel OK about where I am." Freeman said she completely broke down only once in the last year. "If you don't move forward and don't look for something new and try better and do what you have to do to survive, then what are you going to do?" Freeman said. "You can't change what's happened." Where did all the volunteers go? PASS CHRISTIAN, Miss. - For San Carlos resident Christine Thom, it was the hollow look on the faces of Pass Christian's Katrina victims that got to her. That, and the hordes of volunteers who showed up to help them. "People gave up their lives, put their lives on hold to come down and help total strangers," said Thom, 55, who was part of a team of four people from San Carlos who went to Pass Christian for the first time in November. "I thought that was just awesome." Inspired by the experience, she and her husband, Dave, returned in March and plan to go again in the coming months to help. They are active members of the San Carlos Pass Christian Relief Committee, which was formed last year by the San Carlos Chamber of Commerce to provide long-term relief and rebuilding assistance to the small Gulf Coast town. The committee has gathered members from all corners of San Carlos — churches, schools, the Rotary Club, city government — and raised more than $35,000 in cash and another $4,500 in gift cards for Pass Christian. They've also sent countless boxes of donated supplies and handfuls of volunteers to help. On Aug. 20, the San Carlos group raised more than $2,000 for Pass Christian through a 5.4-mile "Pedaling for Pass" bike ride. "People here have forgotten, and that's one of our missions, to keep them aware," said Thom, who runs a hair salon out of her home. "This is a monumental disaster and we have to keep helping." One year after Hurricane Katrina devastated Pass Christian, residents say that help from cities like San Carlos is still sorely needed. Several people were quick to point out that the town, which lost 80 percent of its houses and all of its businesses in the Aug. 29 storm, would not have made much progress without the help of out-of-town volunteers. They are able bodies for work that otherwise wouldn't get done and a palpable sign of hope in an otherwise bleak landscape. The volunteers that come are committed to the cause. The vast majority are from Christian church groups, although even others say they feel called by God to help. Some church groups arrived to help before federal officials set foot on the Gulf Coast. But a year after the hurricane, the number of volunteers has dwindled from about 300 a week to 50. "You cannot depend on volunteers because they go home," said Amy Hardee, a long-term volunteer who helps run The Grey Hut, Pass Christian's assistance center. "We can't do without them, but they have a life in another community." Hardee, 51, came to Pass Christian from Hillsborough, N.C., last September with a truckload of 7,000 pounds of goods, and she hasn't returned home much since. She has stayed here to handle the monumental task of coordinating residents' work requests with the volunteers who show up. For months after the storm, groups just dropped in and worked where they saw fit. Residents who didn't know where to go for help fell through the cracks. Now, Hardee, a bubbly mother-figure who ran a day care center before the storm, said she has compiled 357 requests for help with rebuilding, and another 300 requests for help with rehabilitation on structures that survived. But doling that work out to volunteers is easier said than done. There is a dearth of skilled volunteer labor — electricians, plumbers and contractors. Further, the various volunteer outfits that still maintain a presence on the coast, from Randy's Rangers to the Mennonite Disaster Service, have operated as independent entities over the past year. "We've got to break down territorial expanses so we're working toward the same goal, which is putting people in homes," Hardee said. She recently went to ask Gov. Haley Barbour's office for $15 million for rebuilding homes, at $50,000 a pop, to be completed by Camp Coast Care, a mission of the Lutheran and Episcopal Disaster Response. Most of the Christian relief workers in town find their way to God's Katrina Kitchen, an effort started by Greg Porter, who came from Kentucky to hand out food in the days after the storm. At its height, the kitchen served more than 3,000 meals a day. Today, it's less than 300. The kitchen serves three meals a day to anyone, no questions asked, and will do so until the funding and the food — 10 pallets of ice cream showed up a month ago — stops coming. But it's far more than a mess hall. The operation, with a staff of about a dozen, also houses volunteers and coordinates work assignments. And there is no mistaking its dual mission — free Bibles are for the taking at a nightly tent evangelical service. "I really see what's happening here as fertile ground for revival of our whole country," said the Rev. James Giles, a Pittsburgh-based Episcopalian minister with Church Army USA who now coordinates volunteer short-term mission teams for God's Katrina Kitchen and lives in a trailer on the site. Staying at the kitchen in early August was Heritage Bible Church of Princeton, Mass., which spent a week helping residents clear debris and build storage and pump sheds. Despite their efforts, Heritage member Jon Drohan, 18, said he was surprised by the lack of volunteers in town. "It's sad because there's not as much relief effort going on as there should be, even though it's been a year," Drohan said. Even the presence of AmeriCorps, a network of national service programs launched under President Bill Clinton in 1993, has waned. In the weeks following the storm, the U.S. Naval Construction Force, or Seabees, built a tent village that sleeps 300 to 400 people to house relief workers and hurricane victims. Stationed in the tent city, about 25 people from AmeriCorps' emergency response team recruited dozens of volunteers and coordinated their work. Today, just two AmeriCorps staffers manage fewer than 10 volunteers, and the organization plans to vacate entirely by March. Still, San Carlos residents seem committed for the long haul, said Sheryl Pomerenk, the chief executive of the San Carlos Chamber of Commerce. The difference, she said, may be in the relationship the city is attempting to forge with the Mississippi town beyond providing immediate hurricane relief. Friendships have grown between the communities. Pomerenk predicted that San Carlos will help Pass Christian for at least three more years. "People will get involved on a personal level if it's personal on the other end," she said. Staff writer Rebekah Gordon can be reached at (650) 306-2428 or rgordon@angnewspapers.com. PASS CHRISTIAN, Miss. — For Pass Christian, the Aug. 8 special election was about more than just choosing a new mayor. It was about finding someone who could pick through the wreckage of this shattered town and make something new out of it. "People feel that they need a leader, someone to step in and take charge of things and get moving at a faster pace," said Ann Riette, who served as a poll worker at the Kittiwake Baptist Church. After Hurricane Katrina struck on Aug. 29, Pass Christian's government was paralyzed. Mayor Billy McDonald, 70, was plagued by health problems and unable to effectively lead. Part-time City Attorney Malcolm Jones and the five aldermen did the best they could to fill the vacuum. But Jones knows that some of his decisions weren't exactly popular, such as preventing evacuees from returning to their homes shortly after the hurricane. "Frankly, you can't do everything by committee when you're in that mode," Jones said. "You have to go ahead and be somewhat of a — I don't want to say it — but like a benevolent dictator, where you just make decisions and get things done." McDonald, who declined an interview request, resigned July 1 under pressure from the community. That paved the way for the special mayoral election. Voters chose Leo "Chipper" McDermott, an alderman for nine years and mayor pro tem since May, as Pass Christian's version of Rudy Giuliani, the famed New York mayor who led the city through the trauma of the 9/11 terrorist attacks. A long-time supervisor in the Harrison County roads department, McDermott won with 67 percent of the vote, defeating two other candidates. The media-shy McDermott, 56, is a bundle of energy, constantly on the go and prone to speaking in short spurts. The grandson of a previous mayor who served a record 22 years, he is fond of corn pone cliches like "tough times don't last, only tough people." Yet he also exudes a certain gravitas, and his love for Pass Christian is unquestionable. "I've been here from the cradle, and I'll be here to the grave," he said. McDermott said that the town government has been "dysfunctional" for much of the past year. "We probably missed a bunch of things," he said. His first order of business is to develop a town budget. The city operated on a $6 million annual budget before Katrina. Now it has to cut spending to about $2.5 million to avoid a deficit. Less than half of the town's taxable property will be assessed on this year's rolls; monthly sales tax revenue has decreased by 61 percent. "We're 100 percent focused on trying to get a budget. You've got to have a budget with or without a hurricane," McDermott said. "The hurricane just added more problems to it." But once he nails down a budget, McDermott has an even bigger challenge: developing a comprehensive strategy to rebuild the town. Pass Christian, just 30 feet above sea level at its highest point and four feet at its lowest, has long required the ground floors of homes to be 13 feet above sea level. If a property's natural elevation is lower than 13 feet, homes must be erected on stilts, or piles, to meet the regulations. But after Katrina, the Federal Emergency Management Agency told town leaders to raise the minimum elevation to 17 to 24 feet, depending on location. FEMA will give residents who had insurance and suffered substantial flood damage up to $30,000 each for rebuilding — but only if the town adopts those higher elevation standards. So far, the town aldermen have been reluctant to do so, figuring that looser rules will speed up projects. A vote last Tuesday to make the change was postponed. The uncertainty has slowed reconstruction because few people have wanted to build to code regulations that could change or disqualify them for aid. A comprehensive plan for rebuilding the town, developed in part by Santa Rosa-based Fisher & Hall Urban Design, was presented in June but sits largely untouched. Meanwhile, Pass Christian's municipal buildings have yet to be rebuilt. City Hall, located right across the street from the water, has sat untouched since it collapsed during the hurricane. All of the town's businesses were wiped out in the storm, and most of them haven't returned. The lots that once held the Winn-Dixie supermarket, the Rite Aid drugstore and the Wal-Mart are now empty. "We need a grocery store really bad. We need a drugstore," said Alice Russell, 66, a Pass Christian native and former local business owner who came in second in the race against McDermott. "We need somebody who will say 'help,' call on businesses who might show an interest." Whether McDermott can pull the town back into a semblance of normal life remains to be seen. But optimism was high on election night, when hundreds piled into the town's lone watering hole, the Kafe Katrina, to eat, drink and dance in celebration of McDermott's victory. "It's finally at the point where people can start to rebuild," said Pepper Pearson, 27, during the party. "Because we have someone to guide us, I'll sleep better tonight." PASS CHRISTIAN, Miss. — Library cards may have been washed away by Hurricane Katrina, but it doesn't really matter. These days, the library in this Gulf Coast town operates out of a trailer and lends books on the honor system. "You take them out, you promise to bring them back," said Sally James, head librarian since the storm. "That's about as much as we can do, and I don't think we're losing too many." Disappearing books aren't a big concern anyway, as tens of thousands of volumes continue to be donated from cities nationwide. 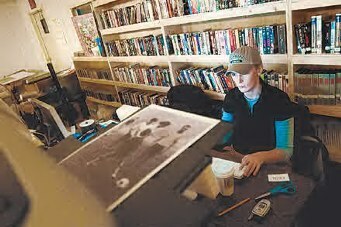 When Katrina hit on Aug. 29, the town library became the temporary headquarters for the police until it also began to flood. Officers inside tried to shoot their way out; bullet holes remain in the door frame and hurricane-proof windows, which refused to shatter. After the water subsided, all but 2,800 reference books were ruined. The town is hoping to rebuild the old library, which was erected in 1973, contained 40,000 volumes and boasted of the first wireless Internet connection on the Gulf Coast. In the meantime, patrons are making do with a makeshift library that was set up in a 28-by-72-foot trailer in November. Although small, the temporary library has 17,000 volumes, wireless Internet access, computers and laptops, group meeting space and three full-time staff to help people find whatever they need. Even for the book-averse, the library has provided a sense of order and connection in a world otherwise turned upside down. In the months after the storm, residents visited the library to read the newspaper, find missing people and get information about recovery efforts. It was the only place in town to make a copy or send a fax — imperative for insurance claims and applications for aid from the Federal Emergency Management Agency. "Half the town was there trying to make copies of whatever bits of information they had," said seventh-generation resident Jane Byrne. With so many people congregating there in the days after it opened, the library was the best place to keep up on news of friends and neighbors. "Susie would know that Johnny was still alive because Susie had seen Johnny's mother the week before," Byrne said. A year later, the library's Internet connection may be its most indispensable feature. After hours, laptop users are known to park their cars outside to stay wired. Byrne, 54, who lost her computer in the storm and now lives in a FEMA trailer, said she is there every two or three days to check her e-mail while hoping that her job with the county tourism bureau will resume. She is also one of many to regularly utilize the library's DVD collection, an especially welcome respite after a long day of recovery work. "It's an escape without being too far out there," she said. Pass Christian's bibliophiles, most of whom also lost their personal book collections, are especially thrilled about the library's re-opening. Regulars include Sylvia McLaurin, 61, a retired English professor who has lived here with her husband for two and a half years and inhabits a FEMA trailer since her house flooded with six feet of water. "This is the kind of thing that comes with being in control of your life again," said McLaurin, who visits the library every couple of weeks. The reopened library owes its existence to James, 68, a fifth-generation Pass Christian resident who had been children's librarian for 24 years before the storm and was on her way to retirement. James lost her 3,000-square-foot home in the storm. "For a long time, there was nothing I could do about my situation," she said. "But I could do something about the library." She took charge after the head librarian never returned, begging at six town-council meetings for a library for local residents. "I wanted them to have someplace familiar to them, someplace they could go back to that they could do the things that they did before," James said. "The library was always a gathering place." She laments that children have yet to return in droves and guesses it's because families aren't returning and children are being bused to neighboring DeLisle for school. year after the hurricane, donations haven't stopped. About 20,000 donated volumes are in storage. And the library put up for sale another 40,000 items, from cookbooks to videos, to offload duplicates and other unusable items. With prices as cheap as 10 cents an item, the sale has netted about $5,500 to help build the new library. The influx has been a surprising boon for this struggling town. "People feel that reading is an essential part of life," said Virgil Harris, the president of the Friends of the Pass Christian Public Library. "People have a real affection for libraries, even stronger than I might have guessed." VIRGINIA BEACH - The images are of everyday life. Gleeful children on Christmas morning. Fathers with unsure smiles carefully cradling newborns. Uniformed soldiers posing proudly with their girlfriends or wives. The photos, damaged by floodwaters from Hurricane Katrina, bear similar scars: f aded, ghostly faces and smeared rainbow-colored backgrounds. Mold creeps across the frames. For so many of Katrina's victims, these precious photographs are all that's left. Since January, a growing group of volunteer photographers, photo restoration experts, graphic artists and others have been working to save them. The effort, dubbed Operation Photo Rescue, was started by Fredericksburg photographers, Dave Ellis and Rebecca Sell, both employees of The Free Lance-Star newspaper. They conceived of the idea last year after Sell returned from a couple of trips to the Gulf Coast. discarded damaged family photos. The pain of such an exercise was evident, Sell said. After seeing Sell's photos, Ellis, the newspaper's photo assignment editor, was equally moved to help. "We always go into these situations as journalists to capture the sights of other people's tragedies," Ellis, 38, said. "We write our stories and take our pictures, and no matter how we feel as human beings, we pack up and head back to the comforts of our own lives." I n Katrina's case, "it just felt like there was something more that we could do," he said. So Sell and Ellis created Operation Photo Rescue and recently established it as a nonprofit charity. They collect damaged photos, scan them into a computer, then place the digital images into an online gallery. There, volunteers can download them and begin the restoration process. Once complete, the "new" photos are printed and returned to the owners - at no charge. Financial support from their newspaper, which covered two trips to the Gulf Coast, as well as help from other volunteer photographers, got the operation going, Ellis said. Other donations have trickled in, including $3,000 from the Virginia News Photographers Association. So far, the operation has collected about 2,000 photographs from Mississippi and Louisiana. Nearly 800 volunteers worldwide, including some from New Zealand, South Africa and Macedonia, have restored about 1,200 pictures, some to near-perfect condition. Most volunteers joined on after learning of the charity through blogs, e-mails and Web sites. Photographers Vicki Cronis, Bill Tiernan and L. Todd Spencer of The Virginian-Pilot are among those helping. "Who knows better than photographers what photographs mean to people?" Tiernan asked. Restoration can take from 10 minutes to hours, depending on the damage. Using photo software, volunteers take bits of information from another part of a photograph and copy and paste it over the damaged area. Restorers are reminded not to overdo it, such as replacing original backgrounds. Too many changes and the owner may no longer have the same emotional connection to the photo, Sell said. "We're trying to give somebody back a memory that would have otherwise been lost," she said. Sell and Ellis started collecting the photos in January by setting up shop in a library in Pass Christian, Miss., a town of about 6,500 west of Gulfport. As word spread, more and more residents brought their cherished pictures, including wedding albums, school portraits and vacation snapshots. Virginia Smith, 80, was among those hoping to salvage something. Her home, less than a block from the beach in Pass Christian, was destroyed when a 30-foot surge of water crashed into it. 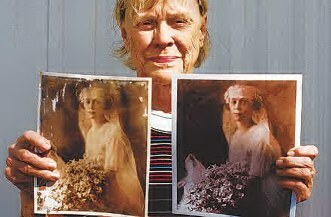 Photos she had carefully wrapped in plastic bags, including her mother's wedding portrait taken from the early 1900s, were buried in mud. The pictures were restored, including a beach snapshot of Smith's late husband, Fulton, and her three children. "I cried when I saw it," Smith said. "It was just the sweetest picture. I would have hated to have lost that." The charity tries to limit the number of photos it restores to five per family. Saying no is not easy, though, Ellis said, especially after hurricane victims share the memories behind each photograph. Explaining that a picture is too damaged to repair is even more difficult. One woman, he said, walked in with the only pictures she had left of her children, but the images were too faded to draw from. "They are so happy for whatever help they can get." Ellis thinks more can be done. A newspaper in Baton Rouge has offered to help collect more photos for the online gallery. Sell and Ellis hope to expand the operation, taking in damaged photos from other disasters, such as recent flooding in the Southwest. They feel compelled to continue their work. "For the country we live in and the resources we have, it just boggles my mind that there isn't more help being provided," Ellis said. "While I'm proud of what we're doing, there are still feelings that it isn't enough." Reach Susan E. White at (757) 222-5114 or susan.white@pilotonline.com. Every Aug. 29, the Mississippi Coast will pause, bow its collective head and pay respects to the unbiased, unflinching power of nature. The blank spaces and lost landmarks near the beach will forever hold imaginations about Hurricane Katrina's might, but the most profound and permanent reminders of that day will always be found in the holes ripped in the hearts of many Coastians by the 200 or so lives taken here. In the haste to commemorate the tragedy, the one Katrina memorial constructed thus far in Biloxi contains no victim's name, as perhaps it should not. There are 169 victims listed on the storm reports of local coroners from the six South Mississippi counties. Statewide, there were 231 victims. At the end of July officials released a list of 18 people who went missing that day and who probably died but were never found. The old Hurricane Camille memorial in Biloxi had 172 names on it. There are countless reports of people dying from stress of the storm beforehand, of people dying days later from injuries received during and after the storm and of people succumbing to the weight of tremendous stress or a broken heart. It is possible to argue that the unusually high suicide rate in South Mississippi these days should lengthen the list of Katrina victims. Yet all those numbers may never be known or counted. 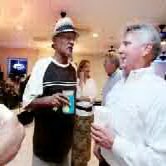 We know, for example, that William Collins, 60, of Biloxi, died two months after Katrina in Nashville, Tenn., while in a coma from chemical burns he got in the water near his Back Bay home in Biloxi, struggling through the surge. Though Collins' wife, Judy Collins, is listed as a storm victim by coroners because she died that day, William Collins is not. A vast majority of the people on the official list of Katrina victims in South Mississippi died sometime between 8 a.m. and 10 a.m. - a time when most meteorologists and witnesses agree the storm surge was at its highest and most violent. That surge had been building for days in the Gulf of Mexico and was aided by the most ideal set of circumstances for a murderous coming of water - very low pressure, a large storm size, a slow-moving storm and high winds. And Mississippi's location in the Gulf and her shallow waters gave the surge little space to dissipate before hitting the shore. "Had Ivan hit Mississippi, the storm surges in Mississippi would have been higher than those in Florida," said Todd Davison, a FEMA mitigation specialist who studied Katrina's meteorological events. The world's fastest river rapids move at about 10 to 12 feet per second, and even the strong and brave people who enter those waters with life jackets, helmets and sturdy kayaks sometimes do not make it out. When Katrina's surge was just 10 feet deep, it could have been moving at speeds as fast as 16 feet per second, a speed that rises with the water's depth, said Joseph Suhayda, a Louisiana State University coastal oceanographer. "Anything above a couple of feet per second is extremely difficult to wade in," Suhayda said. "To operate a boat in anything close to 10 to 15 feet per second is extremely difficult. Being in (that kind of) water is tantamount to being dead." While that surge was building and preparing to change the Coast forever, almost everyone who lived here felt fear to some degree; despite that fear, many stayed. The reasons people stayed are many, and a survey of the lives and experiences of more than 130 victims indicates no one reason for staying dominates the others. Some people stayed because they felt experience told them they would be safe, or evacuating was too hard, especially on the elderly, or they were afraid of post-storm looters, or they could not let go of the idea they might be able to do something during the storm, or they refused to leave behind a spouse, neighbor or pet, or they rued the lack of cheap and comfortable places to go, or they just simply could not make a decision so they stayed put. Some, such as storm victim Nelson "Nip" Lang, 76, of Pass Christian, stayed because they had survived Hurricane Camille in 1969 and other hurricanes, and felt nothing could be worse. Though it is a popular belief on the Coast that Camille killed more people in 2005 than in 1969, and it is true a vast majority of the storm's victims were old enough to have lived through Camille, at least half had moved here sometime after Camille. More than 90 percent of the storm's victims were older than 40 and almost two-thirds were older than 60. There are only four unidentified victims, two each in Jackson and Harrison counties. The storm's oldest known victim was 96-year-old Pearl Frazier of Biloxi. The Oklahoma-born Air Force widow could not bear the thought of evacuating the home her late husband built on the Back Bay in the 1970s. She would spend hours on her dock fishing, crabbing and watching the world go by. The storm's youngest known victim was 2-year-old Matthew Tart of Pass Christian. Matthew died with his dad, Samuel Tart, 51, in their single-story Lorraine Avenue home, which was not destroyed but took on almost 20 feet of water. Relatives described him as an infectiously charming child whose crazy curls and bright smile made it impossible to be angry with him. Biloxi was the site of the most deaths, with about half of its 53 victims perishing within a four-block radius of Yankie Stadium. Pass Christian and Bay St. Louis had 24 victims each, despite having a fraction of Biloxi's population. Most storm victims appeared to have died in or near their homes. The Sun Herald found only 11 victims on the Coast were not at or near their home addresses - such as Sheila Aultman of Long Beach, who went to a friend's house in Waveland to ride out the storm, and Jack Prather of Dothan, Ala., who was volunteering at the Seashore Mission Church in Biloxi and died driving people to shelter. There were at least 25 married and dating couples who died together in the storm and there were several instances of friends and relatives coming together to ride out the storm. Some couples had been together for years, such as Ralph and Joan Dagnall, who had moved to Bay St. Louis from Pittsburgh the day before Hurricane Camille. Ralph, 73, and Joan, 69, liked to tell their children about waking up the next morning in the Driftwood Motel, to discover half the building missing. 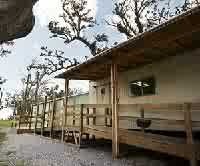 Their self-designed concrete home did not survive the storm surge. Others were new couples such as Jerry and Colette Vierling, 45 and 51 respectively, of Waveland, who had exchanged vows a little more than a month before Katrina came. At least 11 victims were with a significant other who survived the storm. Most of the survivors, such as Gulfport resident Stina Anderson, who lost her husband Tony, 81, to the surge, emerged profoundly shaken. Katrina took just one family in its entirety, the Banes of Waveland. Edgar, 48, Christina, 45, Edgar Jr., 15, and Carl, 13, were lost when their Rue De La Salle home was washed away. Many of the storm's victims were ill or infirm before the storm, such as Biloxi resident Victoria Moore, 85, who found that late in life she was no longer able to grow the turnip greens, okra and tomatoes she loved to share with her neighbors. 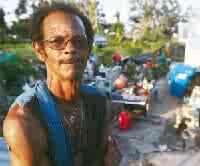 Katrina's victims came from a host of professions, even though a majority were of retirement age. There was a handful of casino workers, and there were also oceanographers, custodians, chefs, restaurateurs, fishermen, and one known artist, Paul Phillips of Gulfport. Katrina deprived the Coast of some of its most colorful characters, like the "Hermit of Point Cadet," Danny Goff, 55, so named for his long, unruly beard and generally oddball ways. Danny was homeless, but he picked up odd jobs where he could, like at a Vietnamese grocery store where the owners named him "lazy bones." Pass Christian lost Emma Seals, 81, a reclusive German woman who cursed like a sailor, and nightly fed the raccoons and possums that lived near her home. Despite her quirkiness, friends and neighbors felt "Oma," German for "grandmother," was generous to the extreme when caring for others. Katrina passed into legend dozens of other wonderful nicknames that carried interesting personas behind them: Turkey Neck, Jug, Miss Pineapple, Nip, Babs, Buttercup, Captain Fox and Megga. Jug, aka Kemp Ramsey, 54, of Biloxi, will never again tell those stories that left his family in stitches. Turkey Neck, aka John Holley, 68, of Biloxi, will never watch the world pass by his porch again, craning that long neck of his. The angelic singing voice of Miss Pineapple, aka Rose Marie Walls, 56, of Biloxi, soars no longer. Hurricane Katrina's victims now call to us from a distance, their voices bound to grow fainter with each passing August 29. If they could speak, it is easy to imagine they have a simple message for us: If a bad storm approaches, leave.